I know it doesn't look quite like November down here but I promise you it is! The sun is still blazing and the temperature is still in the 90s. Thank Goodness for my new Firmoo sunnies to keep my eyes protected from the sun. 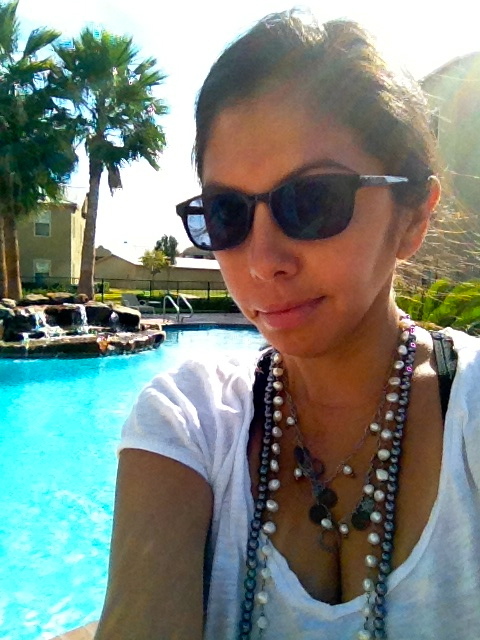 You can never have too many sunnies down here, so I was excited to review this pair and add them to my collection. As you know, I wear aviators or cat eyes often, so I wanted to try a new look. 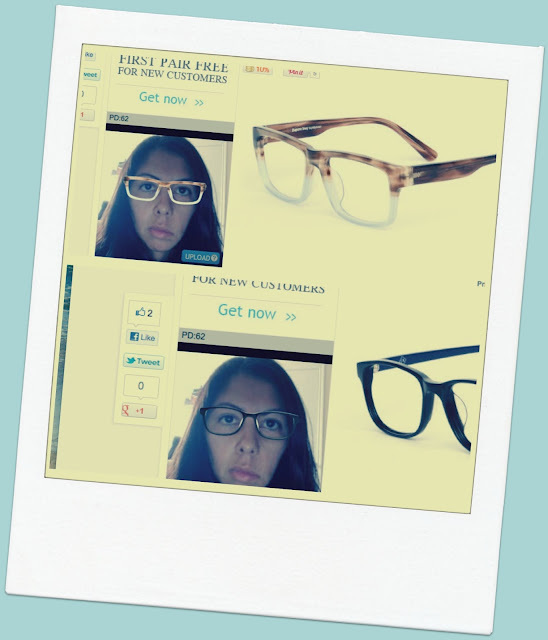 I went to the Firmoo site, and uploaded a picture of myself to "try on" a few pairs. It was super fun but time consuming since I LOVE eyewear and they have so many fun frames. You can also post your potential frames to Facebook and have your friends help you decide. I feel silly enough showing you my pics, but I did find this tool helpful. 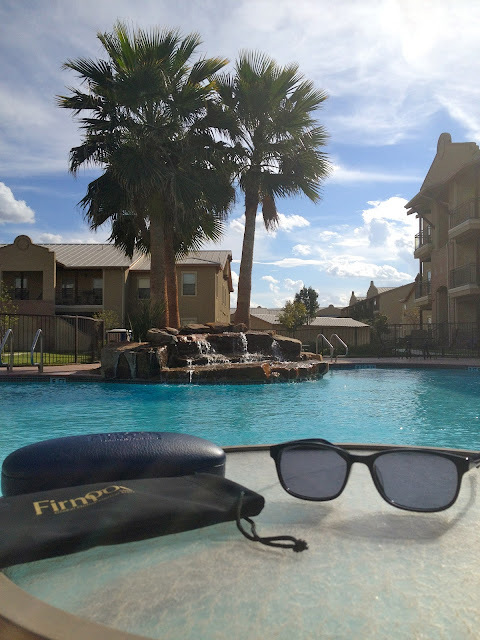 If you are in the market for a new pair of eyeglasses or sunglasses, I recommend you go to Firmoo and get your first pair free, like I did (*you will have to pay $6 for shipping though)! I am very happy with my pair, the quality is nice and they feel really comfortable. The blue design on the side is a fun touch. Check out the FAQ on Firmoo's site for more info. I'm thinking of going back for more. They even have safety goggles for my scientist husband, and trust me he needs a pair. B is a chemist and must protect his pretty blues from all those chemicals. What are your favorite type of frames? Your new sunnies look terrific on you. Thanks for telling us about this site. J wears safety googles for work, too. I'll mention the brand to him.